After lunch, I call into Green Papaya Art Projects to meet a legendary someone. 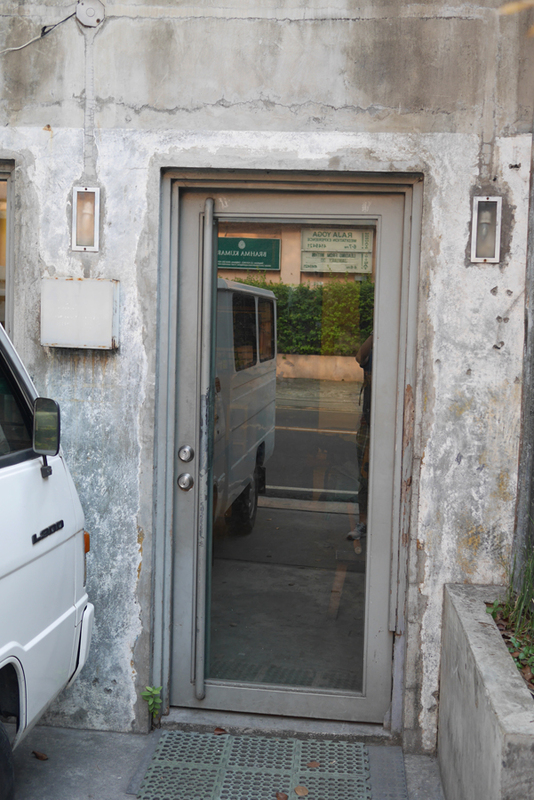 This is the artist-run space that Norberto Roldan and Donna Miranda founded in 2000. 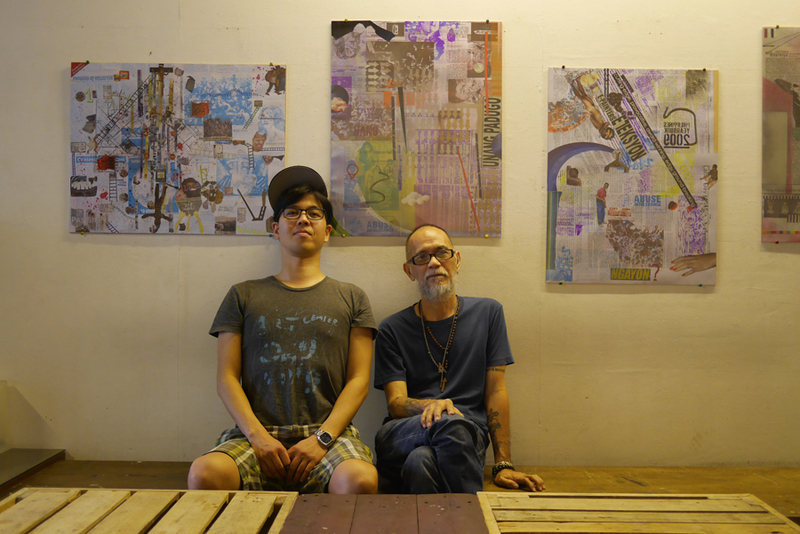 It is the oldest artist initiated platform in Manila. Legendary, isn’t it. The space has changed its location three times. The people running it have also changed. 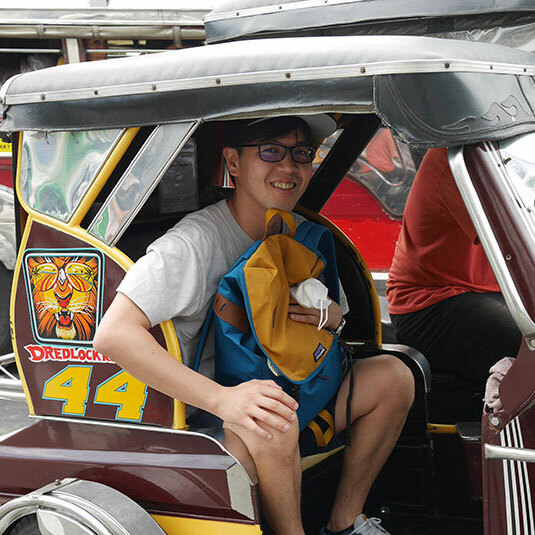 Aside from Norberto Roldan, called Peewee in the local art scene, there is Merv Espina, independent curator and program director, and a bunch of young interns working on various projects. From contemporary art exhibitions, this space has presented contemporary dance, performance art, live sound and experimental music, film/video screenings, cooking and artist talks. It also runs a residency program. In addition, there are a lot of collaborative events with foreign cultural institutions, like Japan Foundation. With a long history of 16 years, this space is very famous in the city. This is the entrance to Green Papaya Art Projects. The man in the center, living legend Peewee, is over 60 years old, but he is very young at heart, kind and friendly. However, he has a legendary aura about him. Even though he is very busy, he takes the time to explain the history of Green Papaya to me in detail. I encounter the living legend “Peewee”. 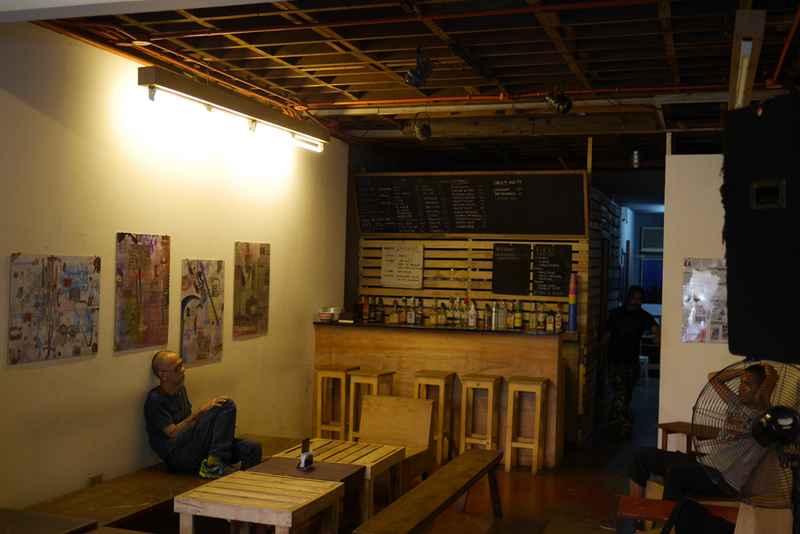 Around 2000, when the space was established, there were a lot of artist-run spaces in Manila. But when the art market started to develop, a number of artist-run spaces also started to close down. Green papaya started in a garage and was always bogged down with financial problems which could close the space. As they were confronted with the problem, artists who often gathered at Green Papaya donated art works to help raise some money to keep the place open. Oh, what a cool story! If Art Center Ongoing ever faces the same problem, I wonder if any artists would be able to sell their works and save me … . Well Anyway, its’ so fantastic for one to keep this position for 16 years! At the time I visited, there was an exhibition put on by a group of young artists. There was also a hand-made bar-counter! Ah, in front of me, there is a real living legend. 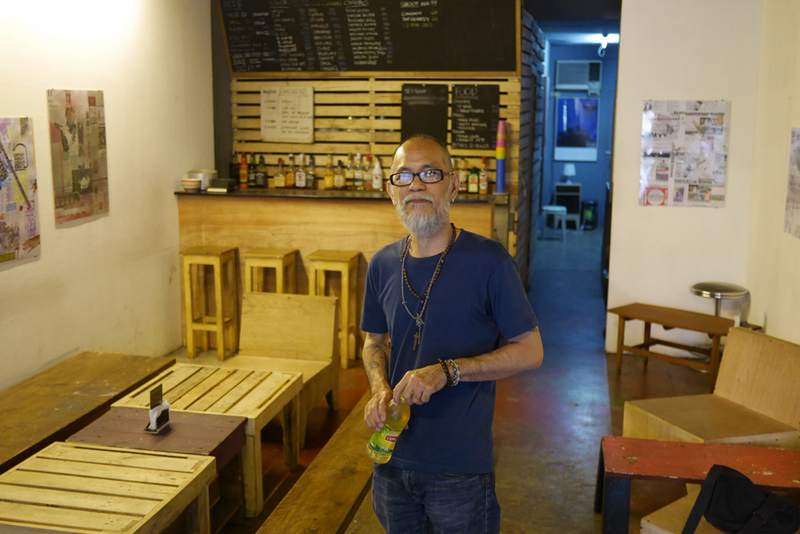 Up to now, both foreign and local curators and artists from a cross generation and doing a variety of genre come to Green Papaya for collaboration and support. You will always see Peewee, with smile on his face, mingling with the young crowd. I believe it is the answer to his secret of looking young. Finally, I straighten my back and take a picture with this living legend. If you are lucky, you could meet this legend yourself. Sixty years old … I wonder if I could keep trying for another 20 years … . Anyway! I will do my best for these three months!! Facility and Activity: Gallery, Café, Residence, Workshop, Talk, Performance, Music Event, etc.